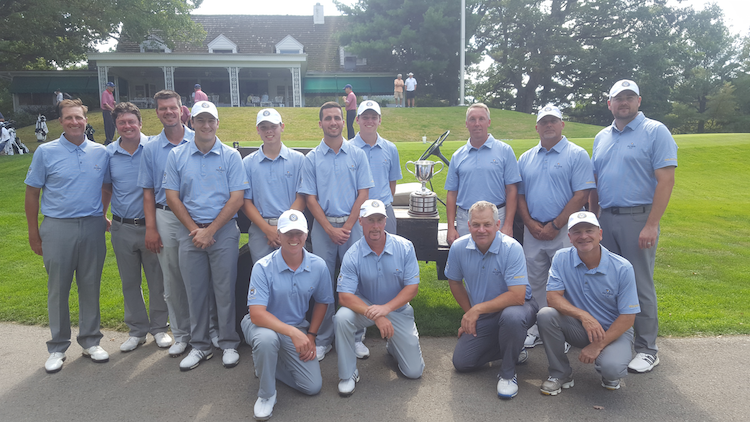 Team WPGA won its fourth consecutive Palmer Cup in 2017 over the Tri-State Section, PGA of America. The Association has participated in matches with other organizations for nearly fifty years. The WPGA competes against the Tri-State Section, PGA of America, in the Palmer Cup Matches each September at Latrobe Country Club, the annual site since 1995. Each August the WPGA Junior Team is selected to compete in the Williamson Cup Matches against eleven other regional golf associations throughout the northeast and Canada in a thirty-six hole stroke play competition, college format. In 1996 local businessman and golf philanthropist Frank B. Fuhrer generously agreed to fund these matches and has continued his support. The teams have been named after Mr. Fuhrer and the teams wear uniforms embroidered with the Frank B. Fuhrer Team designation.